Do you love Sat Nam Fest? Do you wish that everyone you know could experience the magic and pure bliss that you’ve felt firsthand at our yoga and sacred chant festival? Are you looking for a way to support your own trip to Sat Nam Fest this year? The Sat Nam Fest experience continues to serve as an elevating and transformationalexperience for all who attend. We’re eager to reward individuals who actively promote and share their passion and enthusiasm for the festival, which will help ensure this year’s Sat Nam Fest Joshua Tree is the best yet! If you’re interested in serving as an ambassador and playing an integral role in creating the community at Sat Nam Fest this year, we have an incredible opportunity for you! Complete and submit your Sat Nam Fest Ambassador Application. 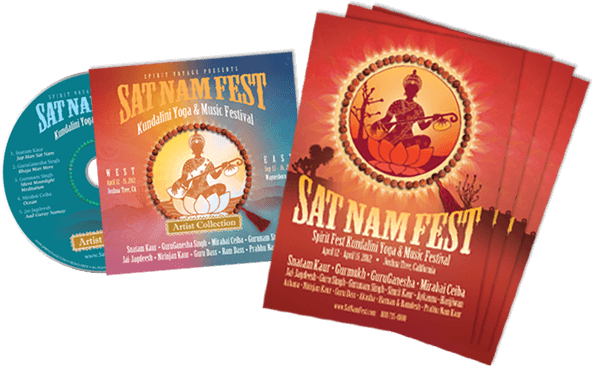 Look out for an email from satnamfest@spiritvoyage.com, in which we will provide you with your own unique promotional code, posters, postcards, and other information and materials to support your promotion of Sat Nam Fest. 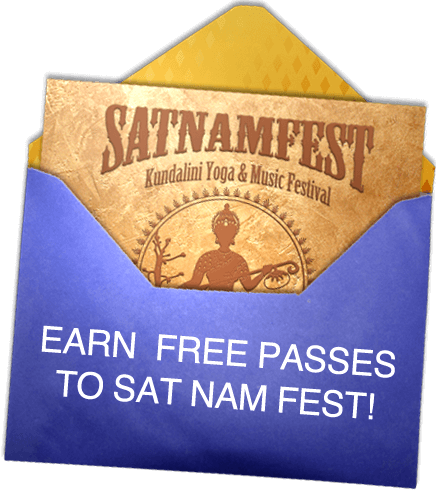 Each person who uses your unique promotional code to register for Sat Nam Fest will receive $25 off their event tickets (applying only to multi-day passes, excluding day passes and meal tickets). For each registration with your promotional code, you will receive $50 off your event tickets! Limitless rewards! Earn cash to cover your tickets to Sat Nam Fest, share with family and friends, and/or earn enough tickets to sell to others. As an ambassador, you will also be featured on our “Meet Our Ambassadors” page with a personal or studio photo, bio, and link to your website. Submit your Sat Nam Fest Ambassador Application now. We can’t wait for you to join the family!